“MATCHROOM SPORT is delighted to announce that RASSON BILLIARDS will be the Official Table Supplier at all Matchroom pool events over the next three years. 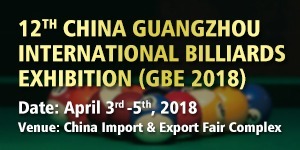 “The company, based in Jiujiang City in south western China, have made large in roads into the billiard world since setting up 26 years ago. Originally, they were a slate producing country, something that they still specialize in. “Rasson will be bringing their top-of-the-range Victory table to the Mosconi Cup, World Cup of Pool and World Pool Masters. 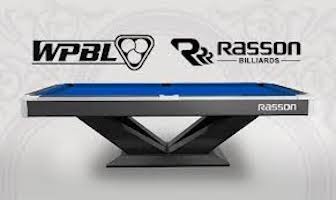 “With the Mosconi Cup set for Alexandra Palace, London this December and details of the World Cup of Pool and World Pool Masters 23rd and 11th editions to be announced in due course, Rasson’s tables will be seen on pool’s global stage over the next three years. “Rasson general manager, Junny Song said, “We’re thrilled to work with Matchroom. Matchroom Sport is a world leader in pool productions and does an excellent job on holding all three pool events.